A concussion is a minor traumatic brain injury (TBI) that may occur when the head hits an object, or a moving object strikes the head. These can be extremely severe if the head is it hard enough. This can result from a fall, sports activities, and car accidents. A big movement of the brain (called jarring) in any direction can cause you to become unconscious. -Feeling like you have "lost time"
How can this injury be treated? There is not really a specific way to treat a concussion. The best thing though is to lie down and rest for a while. 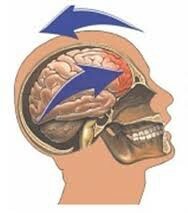 If the concussion is severe, then hospital treatment is needed at that time. -Always use safety equipment during activities that could cause a head injury. 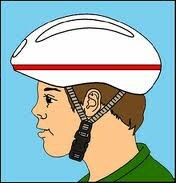 These include seat belts, bicycle or motorcycle helmets, and hard hats. - Do NOT drink and drive. Be safe while drivng.